Each automation block in a library is built to support the clouds addressable by IBM® Cloud Automation Manager. The same block can perform automation activities on these clouds, assuming the target cloud supports that action. Automation blocks are made for rigorous and robust enterprise operating environments. Production-ready out of the box, they were designed by experts in the respective payload. Each block works with every other block. They can be joined with other blocks and libraries to create more complex hybrid cloud automations. Interoperability and reusability enables the two main uses of blocks: to tailor existing cloud services and to build custom cloud services. Each block has a set of user configurable options that control the behavior of that block. These configurations are easily set via the IBM Cloud Automation Manager UI and do not require programming. 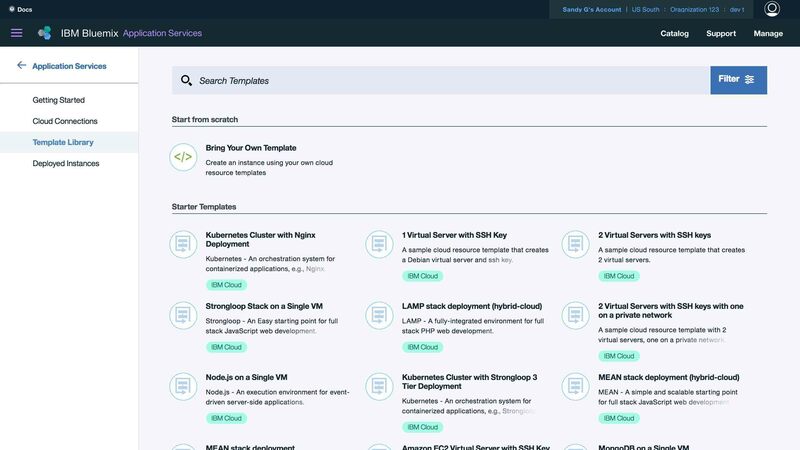 IBM Cloud Automation Libraries are delivered as-a-service. After users initiate their subscription to the library, the library is placed in their repository, which is accessible through the IBM Cloud Automation Manager interface. As libraries are updated, users receive the updates by synchronization of their repositories with the Cloud Automation Manager Hub. Once a subscription term has ended or has been terminated, access to future updates and support for the library will end.